The Energy research Centre for the Netherlands (ECN) has completed a 12 month offshore measurement campaign with the novel ZephIR 300 system as part of a 4 year campaign within the Dutch project Meteorological Research Wind at Sea where the ZephIR has been compared against the 108 metre Met Mast Ijmuiden (MMIJM) at the ECN Wind Turbine test facility EWTW. During a 60 week continuous period availability of the ZephIR was measured at over 98%, with the only period of unavailability being attributed to a mast power supply failure from which the ZephIR was being powered. Correlations during the measurement period were excellent and as such data has been delivered to the Wind energy industry on behalf of the Netherlands Ministry of Economic Affairs, Agriculture and Innovation. ECNs initial conclusion is that ZephIR can be considered as a valid stand-alone system for wind resource assessments, especially given the industrys tendency towards higher hub heights. The core technology behind ZephIR  continuous wave lidar  allows for very low measurements down to just 10 metres from installed level, essential on offshore platforms, such as this installation, which are already raised well above sea level. Minimising the deck space required by the remote sensing device in this deployment took advantage of one of the many benefits of continuous wave lidar. With up to 50 samples taken from the full 360 degree scan, losing just a few samples where the scan intercepts the structure has no adverse effect on the data gathered. Measurements at the EWTW and MMIJM are in accordance with IEC 61400-12. 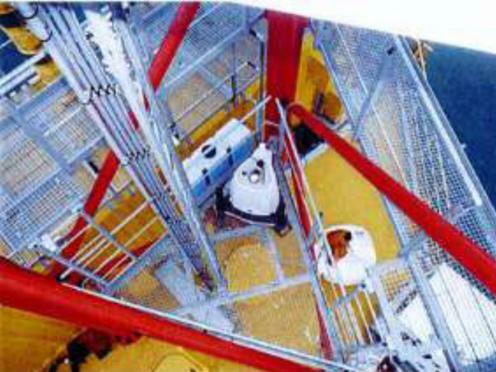 All masts are equipped with Thies class 1 cup anemometers and wind vanes as well as WindSensor p2456a cup anemometers. All calibrations are performed in a MEASNET approved wind tunnel and are covered by ISO 17025 ILAC accreditation.